Starting January 1, 2013, Washington Ignition Interlock Devices will start taking pictures once the device is used. The new feature is intended to prevent those drivers who attempt to circumvent the purpose of the device by having someone else blow into it. The Washington State Patrol believe that drivers routinely have other people blow into the device. An Ignition Interlock Device is a piece of equipment that prevents a car from starting unless a breath sample is taken and tests negative for alcohol. It is court ordered after a DUI conviction or ordered by the Department of Licensing even if the person was never convicted of a DUI, but has been determined to have been driving while intoxicated pursuant to a DUI traffic stop. 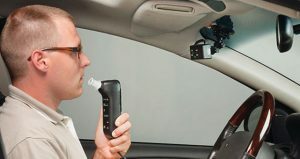 An ignition interlock device is also a way for a driver to continue driving while their license has been suspended for a DUI, so long as they obtain an Ignition Interlock License. Tampering with an Ignition interlock device is a gross misdemeanor in the state of Washington. Requirements for an Ignition Interlock License are found here.